Posted November 26th, 2016 by cjayconrod & filed under Show Announcement. 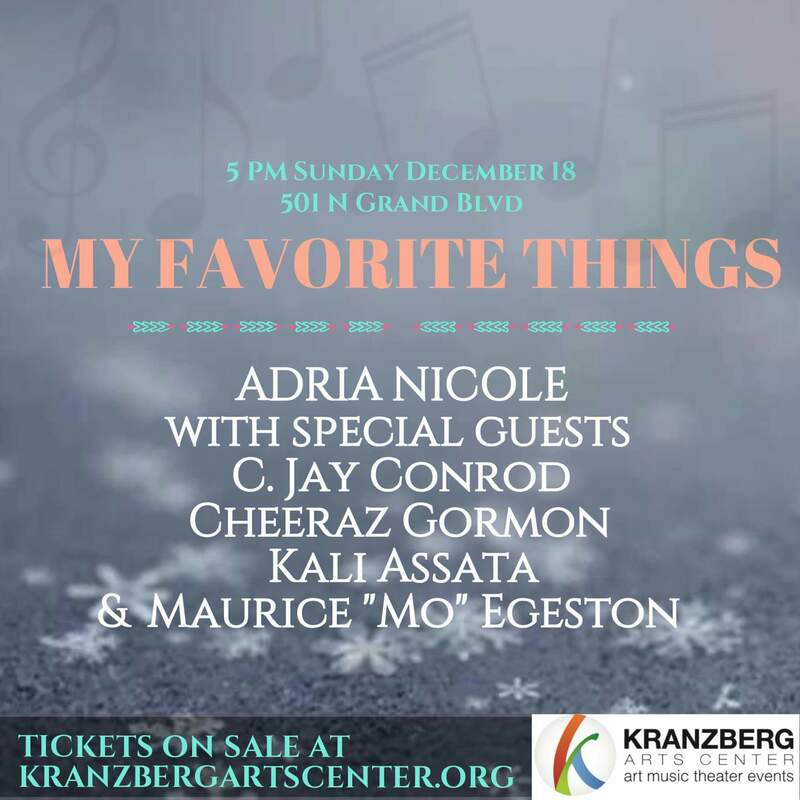 It’s with much joy that I work with one of my favorite artists to perform with on her favorite songs Sunday, December 18, 2016 at the Kranzberg Arts Center on Grand in midtown St. Louis. Not only am I opening for Adria, I’ll be providing her with support vocals. It’s gonna be great holiday break. Get your tickets now!